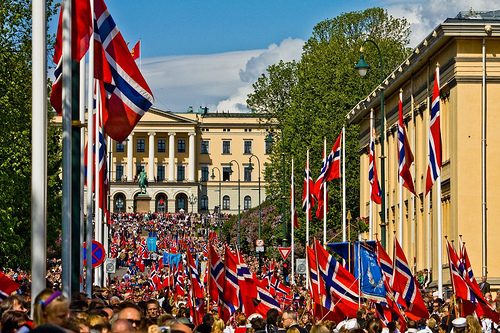 Norwegian Constitution Day is the National Day of Norway and is an official national holiday observed on May 17 each year. Among Norwegians, the day is referred to simply as syttende mai (meaning May Seventeenth) or Nasjonaldagen (The National Day). The Constitution of Norway was signed at Eidsvoll on May 17 in 1814. The celebration of this day began spontaneously among students and others from early on. However, at that time Norway was under Swedish rule and for some years the King of Sweden and Norway was reluctant to allow the celebrations. For a couple of years in the 1820s, King Karl Johan actually forbade it, as he thought the celebration was a kind of protest and disregard—even revolt—against Swedish sovereignty. The king’s attitude changed slightly after the Battle of the Square in 1829, an incident which resulted in such a commotion that the king had to allow it. It was, however, not until 1833, that anyone ventured to hold a public address on behalf of the day. That year, official celebration was initiated by the monument of the late politician Christian Krohg, known to have stopped the king from gaining too much personal power. The address was held by poet Henrik Wergeland, thoroughly witnessed and accounted for by a Swedish spy, sent by the king himself. 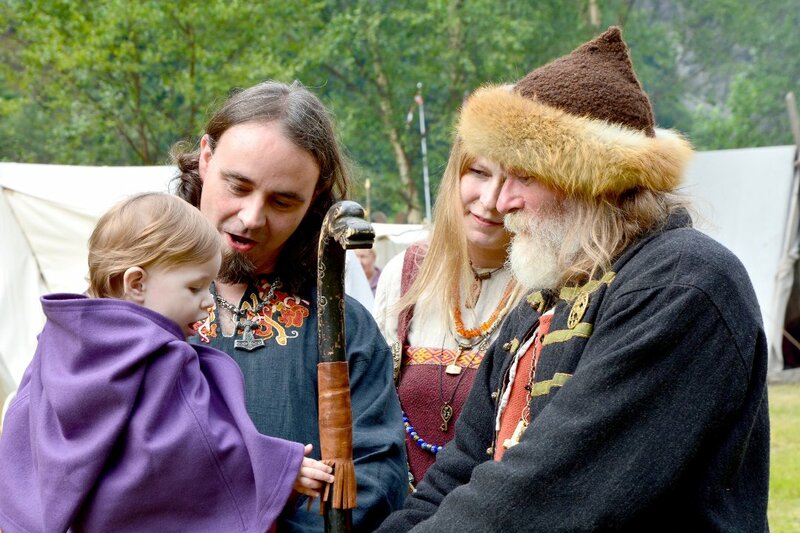 Wergeland is credited with making Søttende/Syttende mai a celebratory day for the children rather than a day of patriotic pride. Actually, the day demonstrates that the children, i.e. the country’s future, are the patriotic pride, if we follow Wergeland’s thought. Flags and music dominate the day, and there are few military parades. To commemorate his contribution, the russ in Oslo place an oversized hat on his statue near the Norwegian parliament; the Jewish community place a wreath on his grave in the morning as a tribute to his efforts on their behalf. After 1870 the day became more established when the first children’s parade was launched in Christiania, at first consisting only of boys. This initiative was taken by Bjørnstjerne Bjørnson, although Wergeland made the first known children’s parade at Eidsvoll around 1820. It was only in 1889 that girls were allowed to join in the parade for the first time. Originally, the day focused on the Norwegian constitution, but after 1905, the focus has been directed also towards the royal family. A noteworthy aspect of the Norwegian Constitution Day is its very non-military nature – something that is a very important to all Norwegians. All over Norway, children’s parades with an abundance of flags form the central elements of the celebration. Each elementary school district arranges its own parade with marching bands. The parade takes the children through the community, often making stops at senior homes, war memorials, etc. The longest parade is in Oslo, where some 100,000 people travel to the city centre to participate in the main festivities. The massive Oslo parade includes over 100 schools, marching bands, and passes the royal palace where the royal family greets the people from the main balcony.